Schinoussa is an island of Small Cyclades (Mikres Cyclades) and it is located between Iraklia and Koufonisia. Schinoussa is well connected with regular ferries to Paros, Naxos, Iraklia, Koufonisia, and Amorgos. Apart from the regular ferries Schinoussa that serve the Piraeus-Schinoussa lines, the island is also connected to the rest of the Small Cyclades islands with the legend of the Aegean Sea, the ferry "Express Skopelitis". When mentioning Small Cyclades we mean Amorgos, Donousa, Koufonisia, and Iraklia. The ferry tickets from Schinoussa to these islands of Small Cyclades or to Naxos and Amorgos are quite cheap and thus facilitate island hopping between these islands. Schinoussa is a quiet small island and the distances between different spots are really small (always <10km). The island has two villages, the Chora and Mesaria which are different from the Port (Limani). Schinoussa's port is pretty tiny, but it hosts some very good fish taverns. On the other hand, Chora is very warm and it is the perfect place to relax and take your coffee at the local kafenio. The highlight of Schinoussa is its beautiful beaches. Livadi, Almiros and Psili Ammos are extraordinarily beautiful. However, the options are not restricted to these beaches; there are several ones with crystal clear blue water, all within 5km from Chora. 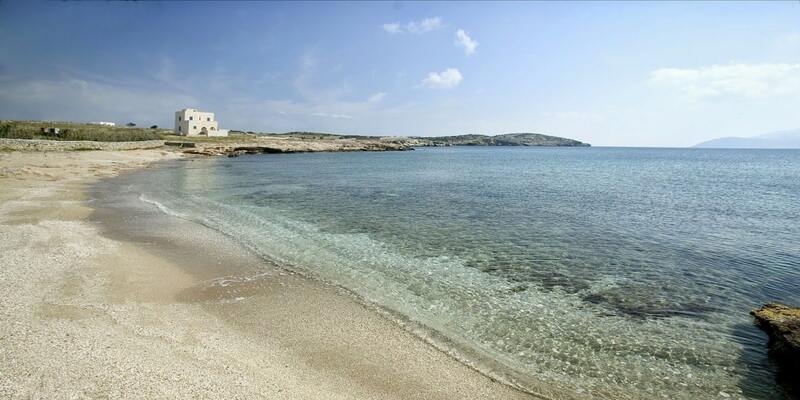 You can find more info about Schinoussa's beaches on the Municipality of Naxos webpage. There is only one ATM in Scinoussa. Thus, we suggest going there with some extra cash in hand.